« The Week In Music. Borders (the bookshop) has a Facebook page for teens and teen-books called Borders Ink. 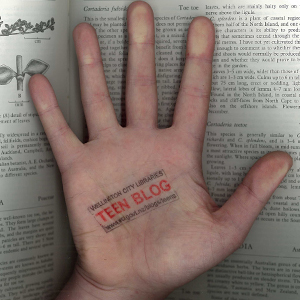 It’s has lots of updates and links about all things YA-book-related. You will (of course) need to be a member of Facebook to read it. Borders also has a blog devoted to science fiction, and it’s really rather good. Read it here, sci-fi fans! They also have some YA booklists; even one called Banned Books You’ve Gotta Read, many of which we have at the library (I’ll add it to our fantastic booklists at some stage).